Celebrate Christmas at Dorking Golf Club on Saturday 17th December 2016. 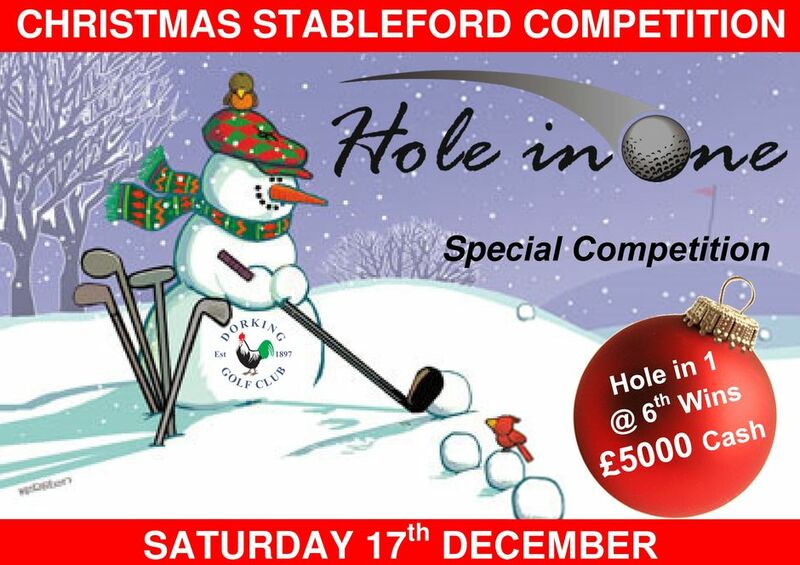 A Hole in One Christmas Special Stableford competition open to all Members and their Guests with the opportunity to win £5000 in Cash. 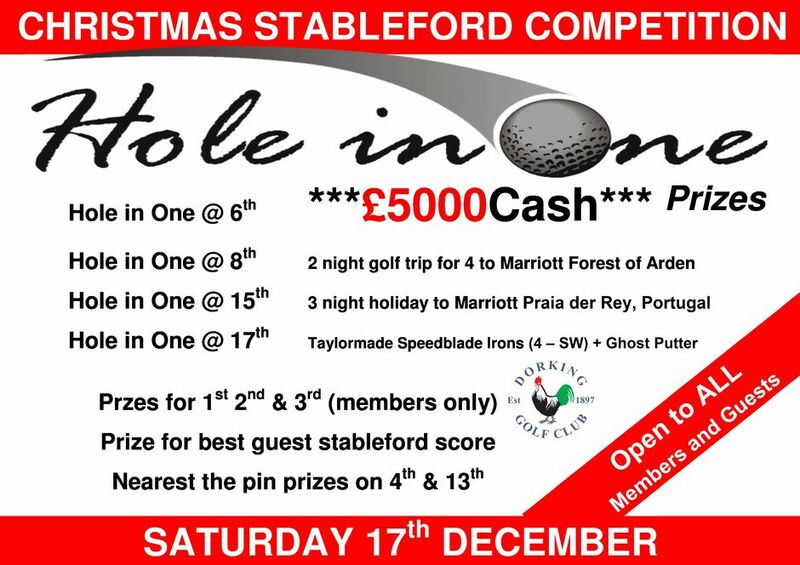 Please sign up on the Notice Board at the Club. 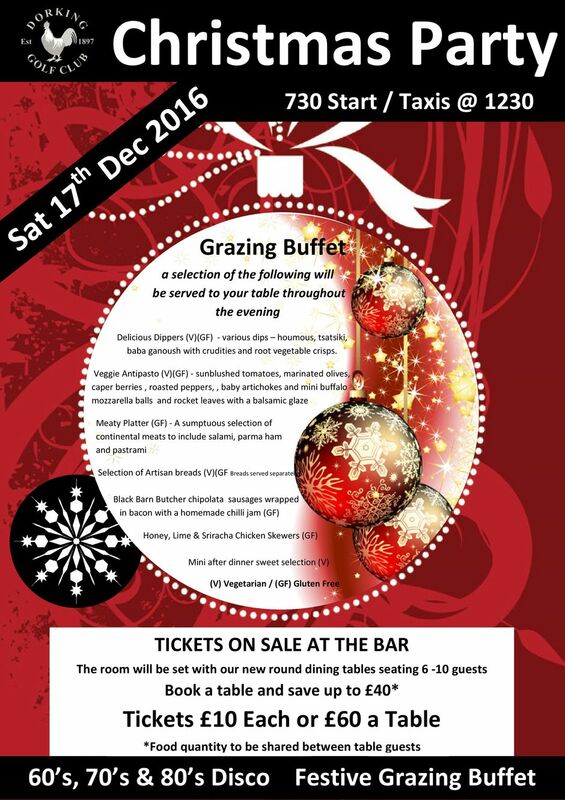 Enjoy the festive spirit with our Club Christmas Party in the evening, a 60's, 70's 7 80's themed music along with our table served Grazing Buffet. Book a table and save up to £40, or complete the form and pair up with other members.